A common question I hear day in and day out is, “Do I need neck surgery?” As a physician, my answer to that question has steadily changed over the years. A few years ago, when I saw nerves on the patient’s neck MRI that were severely compressed, my answer was always, “Yes.” However, now the mounting evidence has proved me wrong. So this morning, let’s go over the case of a patient who anywhere else would have gotten neck surgery but was able to avoid it through precise injections of his own platelets and growth factors. When MRIs came into common use in the 1990s, for the first time, we could see soft tissues deep inside the body. This led to a revolution in medicine that allowed faster diagnosis of things like cancers. However, innovation is usually a two-edged sword; hence, for orthopedic conditions, it also led to a problem of massive over-diagnosis and over-treatment. Let me explain. For the first time, we could routinely see things like herniated discs in the spine, the spinal cord, and the nerve roots around them. However, what we didn’t understand in the ’90s and throughout most of the 2000s was that much of what we observed and thought needed to be treated was also found in the average person without neck or back problems. Let that last statement sink in. If you’re in your 40s, 50s, or older, many of your friends who have never complained about neck or back pain have awful-looking MRIs that show bulging or herniated discs, bone spurs, compressed nerves, and so on. Why Does Structure Not Equal Function? The entire spine surgery industry is based on a simple concept. If the structure of your spine is poor, like a herniated or bulging disc, a bone spur, or a collapsed disc, then the best move is to fix that structural problem, which will cause your pain to go away. However, we now know from study after study that many people with really bad structural problems on MRI have no pain. So there’s a huge disconnect. I wrote a whole blog on the concept that nerves, inflammation, and structure drive pain, so if you want to dive deeper into his subject, that’s a good place to start. But the whole concept can be summarized here. Pain is a function of a problem with a nerve. 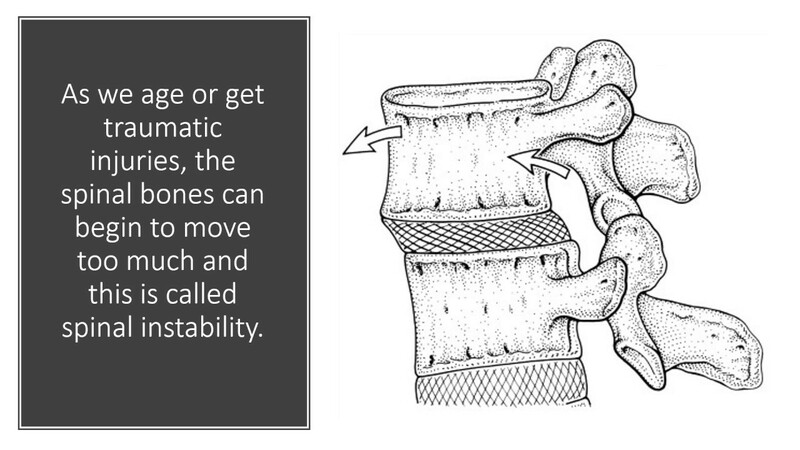 In the spine, we have focused on how structure (“Mechanical” in the diagram above) impacts nerves. Take, for example, a disc bulge that looks close to a nerve or deforms the spinal cord on MRI. However, in reality, it’s all much more complex than that simple idea. In the real world, the overall status of the nerve and its chemical environment also make a huge difference. So what do I mean by the nerve itself and its chemical environment? A nerve can become “activated,” which means that it becomes very good at carrying pain signals. A nerve also has its blood supply, which can become disrupted by either pressure on that supply or chemical problems around the nerve. When that happens, the nerve complains and you’re in pain. Hence, there are two ways to improve the nerve part of the equation: we can deactivate the nerve and improve its blood supply. The nerve also lives in a chemical environment. Meaning that the chemicals that surround the nerve can help, or hurt, it. A major factor here is inflammation. Your body can produce chemicals that activate or cause the nerve to become painful. Hence, another way to help the nerve is to improve the chemicals in which the nerve lives. So if we have a structural problem, like a bulging disc, placing pressure on a nerve and we improve the nerve itself and the chemical environment in which it lives, we should be able to make a dramatic improvement in pain without removing the disc bulge. However, how far can we push this concept? Turns out the answer is likely, very far. An early attempt at improving the bad inflammatory chemicals around the nerve that’s still in common use is the injection of high-dose steroids. The good news is that this reduces the inflammation; the bad news is that high-dose steroids kill off the good cells around the area that are trying to help. This is why repeated injections of steroids often produce diminishing returns, with the first shot helping more than the second or third. Each time, more local cells that can help the nerve are killed by the steroids. 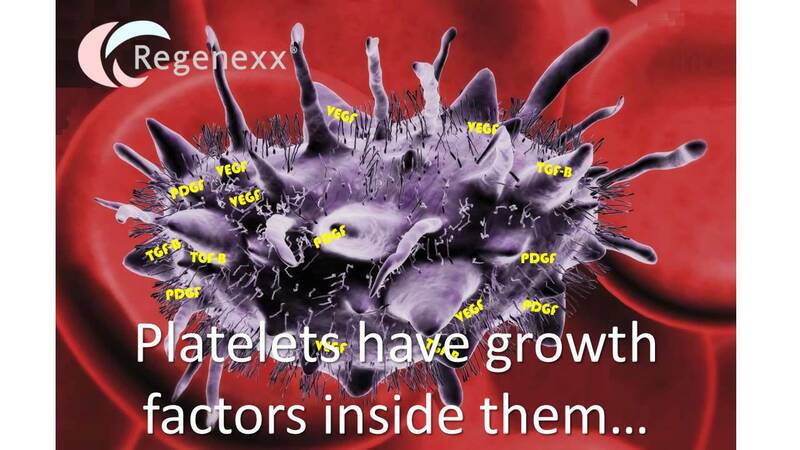 We also began using highly concentrated platelets in a specific way. Both of these technologies were then used in place of steroids. This allowed us to reduce the inflammation around the nerve while also ramping up the activity of the good cells trying to help, rather than killing them off. This also allowed us to hopefully improve the blood supply around the nerve. This is the story of a Silicon Valley engineer who was referred by a woman who we helped dodge neck surgery using this very same approach. However, what was unique was that this patient’s structure and presentation was scary. He had a large bulging disc at C6–C7 with bone spurs pressing on the left spinal nerves. He also had neck and nerve pain down the arm as well as lost strength in his arm and hand. Even five years ago, before I had carefully pushed the boundaries of what we would do with this new technology and how that should be done, I would have immediately sent this patient to a neurosurgeon. Why? The loss of strength in the arm and hand. However, as I have seen more patients regain that strength with these therapies, I have decided that if the patient understands the risks and gets surgical opinions, I’m willing to try this new platelet-based degenerative disc procedure to resolve their issues without surgery. One of the things that made me feel better about this patient’s neck was an old MRI. At the top of the page, you see two MRIs. One from 2008 and one from 2019. What they both show is a large bulging disc at C6–C7 that is not only turning the spinal cord but also bone spurs in that area. In fact, the weird thing is that the 2008 MRI isn’t all that much worse than the 2019 MRI. However, he had a neck issue in 2008 and got better for more than a decade without surgery. Hence, if he didn’t need neck surgery in 2008, why does he need it now? I saw this patient again yesterday, and his progress has been nothing short of amazing. After a single precise injection procedure using his own platelets performed about six weeks ago, his neck pain and arm symptoms are 95% improved. His arm and hand weakness is also resolved. So it looks like it’s more likely than not that he has dodged the surgical bullet once again! The upshot? At the end of the day, I am continuously amazed at the patients with severe structural problems we can help with these new technologies that we pioneered. In fact, I think now about 70–80% of all spinal surgeries performed in the U.S. are likely unnecessary based on the results that we see day in and day out. That includes many of the procedures performed for patients like this one, who have severe structural problems. Good news! Glad to be of help. I would love it if you would write about the fact that patients with lateral instability aren’t candidates for surgery because there isn’t a surgical protocol for it and because Orthopedic & Neurosurgeons don’t even consider lateral laxity as valid medical problem, so not only do these patients not get diagnosed, (Or are told there is nothing wrong with them), but Regenexx is really the only medical option in these cases.